Hello! Vera here and today I have a set of card to share featuring Fly With Me stamp set and Cloud Nine - Creative cuts. 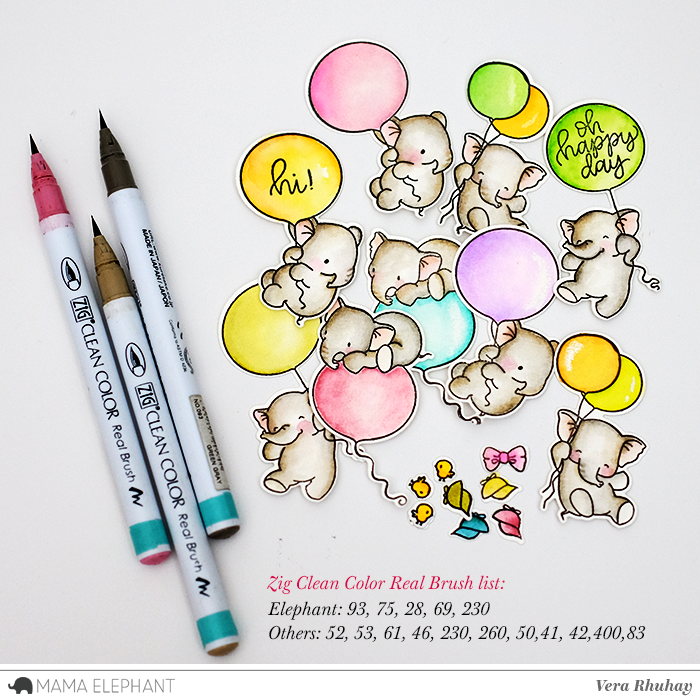 I love this elephant stamp set and had so much fun to colored them all with my Zig Clean color Real brush pens. Fyi, I stamped the images on Canson Montval watercolor paper with Versafine ink. 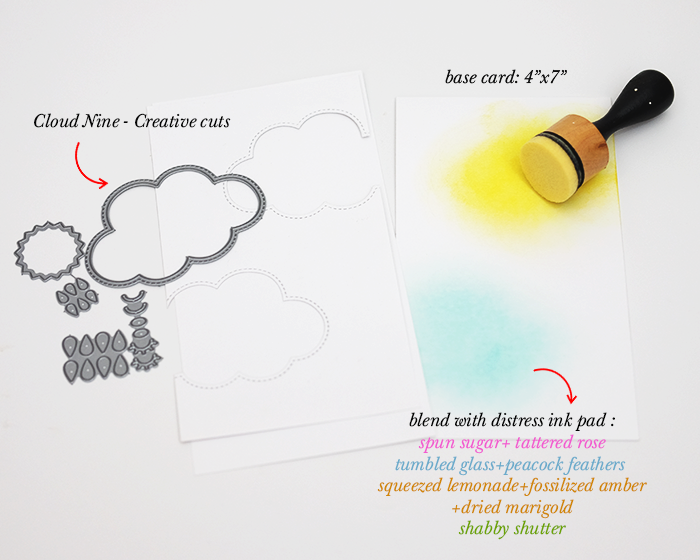 I randomly cut the cloud die on white card stock (size: 4"x7"). And then I blended the base card with distress ink with several colors as wrote in the picture below. For my first card, I heat embossed the word from Ella & Friends stamp set with silver embossing powder. for my second card, I combined with Occasional Labels stamp set. Thank you so much for stopping by and I hope this inspired you to create beautiful projects! Happy crafting! Cloud Nine - Creative cuts. I love this card design, Vera! So gorgeous! I love this soft colors. these cards are so adorable and those elephants...just so cute.